Each year the Peterborough Chamber is actively involved in lobbying all levels of government on behalf of its members. Recommendations are researched, written, vetted, and presented at multiple levels. This is a yearly process that feeds the content and debate at the Ontario Chamber of Commerce and Canadian Chamber of Commerce Annual General Meetings. The resolutions below were authored by the Peterborough Chamber of Commerce. 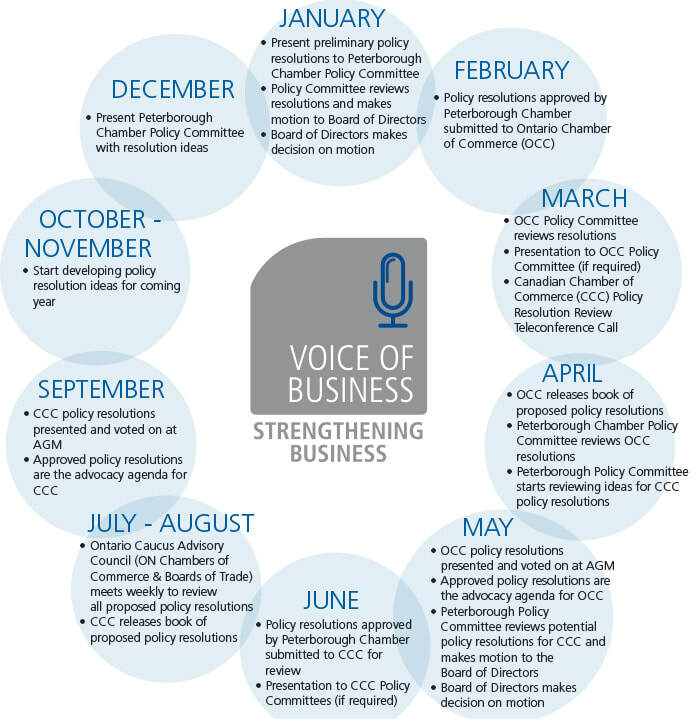 We are also consistently a co-sponsor of resolutions from other Chambers across the province and nation that address issues of concern to the Peterborough business community. Thank you for taking the time to learn about the policy resolutions that the Peterborough Chamber has been working on and developing.